Sky has announced changes to its broadband packages which will see all customers getting 20Mbps lines, and a 'truly unlimited' package available for £7.50 a month from 1 June. Sky's free offering will now be boosted up to 20Mbps – 'effectively as fast as their lines can go', but with a 2GB limit on data. For those with Sky TV and Sky Talk, £7.50 a month will bring what Sky describes as its 'truly unlimited' offering. "Sky maintains its commitment to being the only major ISP not to implement a 'fair-use' policy on its Unlimited service or 'traffic shape' speeds on any of its network products, giving its customers consistent, reliable broadband anytime of day," states Sky. It should, of course, be pointed out that it's the potential for 20Mbps that is being offered, and the speed will very much depend on your location. 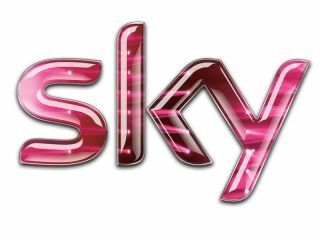 Delia Bushell, Sky's Director of Broadband & Talk said: "Sky is transforming the broadband marketplace again, by providing Britain's best value up to 20Mb truly unlimited broadband service and the UK's only free, up to 20Mb service. "With these new products, our customers have a very simple choice to make based on how much they use the internet, with peace of mind that they are getting a high quality, reliable service. "Unlike some other ISPs, Sky promises not to slow down the speed customers enjoy on its network at peak."